Just over a month ago on the 1st August 2017, it was announced that Pexip Infinity Fusion Gateway is now certified for Skype for Business Server. This means that any customers running version 15.1 software and using Pexip as a gateway (Pexip Infinity Fusion), now have a certified solution for Skype for Business Server video interoperability with VTCs. Pexip is the only vendor in the world to have this status. Well, it just works. Before I joined Pexip, I wanted to test out software on my home PC in a virtual environment with Skype for Business Server and I followed the docs guides published online and was astonished at how easy it was. I made up my mind up to join this company rather than another company that I was also tempted by. I’ve never looked back since joining this great team. Everyone is so passionate about what they do. Seeing features and fixes added to the product each day still amazes me after nearly two years. The certification is a great stamp of approval from Microsoft for clients who want that reassurance that they are deploying a certified platform. However, this hasn’t stopped customers like Arup, HPE, Vodafone, Department of Veteran Affairs, Western Union and many others from deploying Pexip Infinity. Why? Because it just works!! It is not just us at Pexip saying this, our clients use this term as well. It addresses their needs for video interoperability between Skype for Business – at ease and at scale. Does this certification change the product and its future in any way? Absolutely not. Pexip Infinity will continue to be developed at great pace, adding new features all the time. You might even find some nice new Microsoft-only features being added, but hey, we have that already today since version 14, where the product supports PowerPoint uploads and then render them to VTCs participants in Skype meetings. Pexip is still the only software in the world to do this. It is all about making it “just work” seamlessly and reliably. So, what does this mean for the end user? Well if you have scheduled your Skype Meeting in Microsoft Outlook, you will be presented with the familiar join details. One feature available on the Skype Server is the ability to customise the footer of invites. 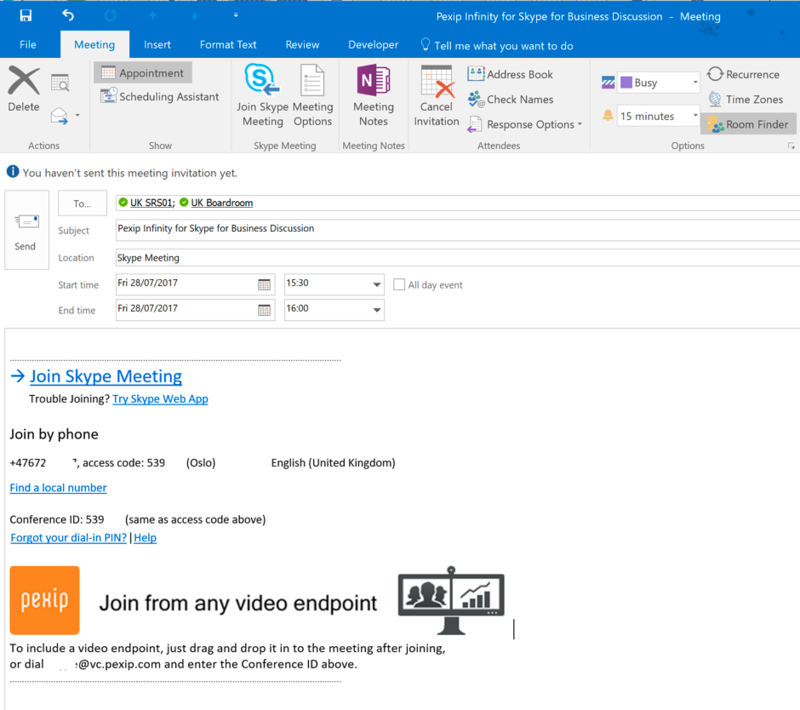 In our own deployment, we have added an image and some text to the footer explaining how to join the Skype meeting from a VTC. 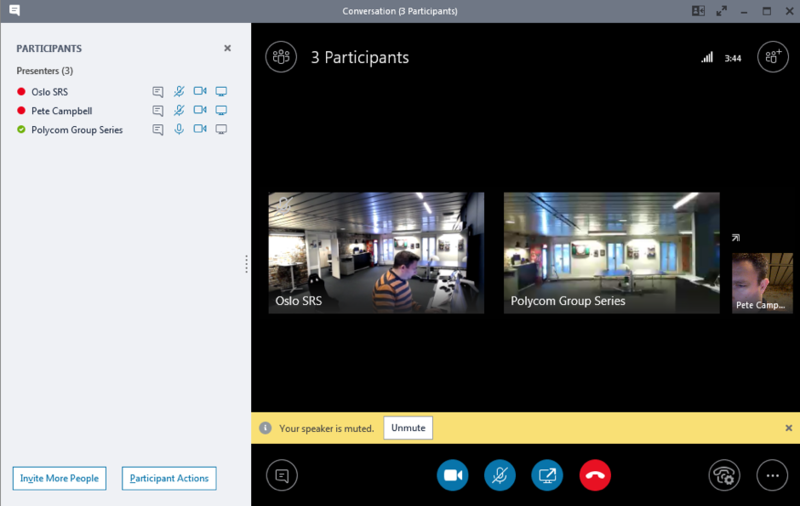 When a user joins the call from the VTC system (internally or externally) they will be just another one of the speakers in the gallery view layout in the Skype meeting. What is also unique about Pexip Infinity is that the Skype for Business roster list is fully utilised, meaning any VTC user can be promoted/demoted to attendee or presenter and then also may use of the audio and video mute features, right within the Skype for Business client. 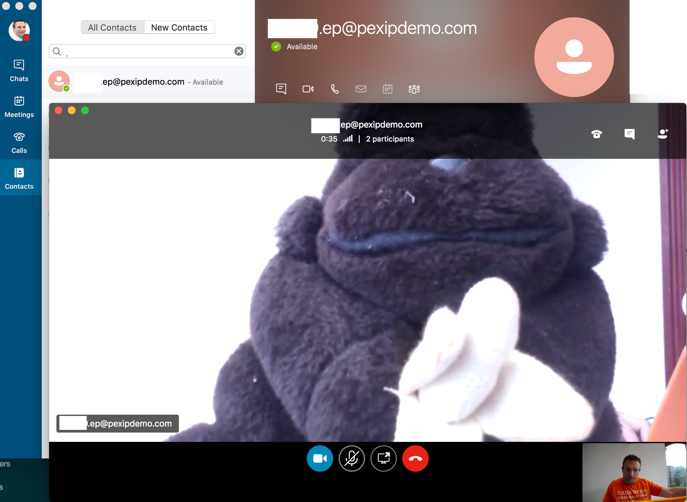 Also supported with Pexip Infinity Fusion Gateway is the ability to do a point-to-point call from the Skype for Business client (Windows or Mac) directly to a VTC. If the device is registered to say Pexip Infinity, then just simply search for the device name (could be customised in Active Directory) and right click start video call just like any other Skype user. Users can decide how to join the meeting. For those point-to-point calls, just look up the device in your contact list and dial. 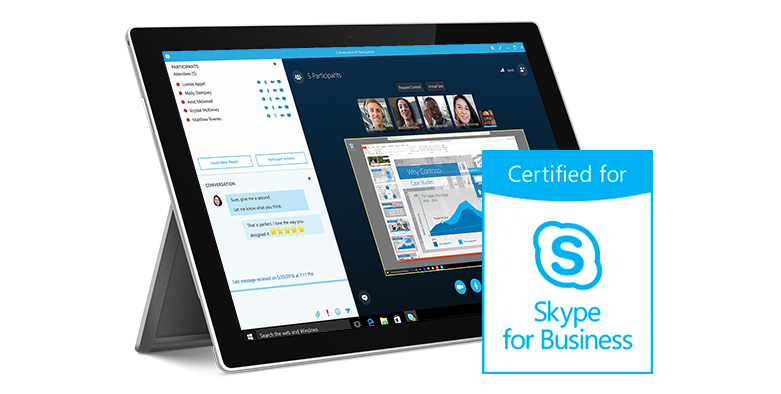 Here’s a link to the official partner solutions for Skype for Business certifying Pexip as the only Skype for Business Server supported product. Also here is another guide from Microsoft on the differences between Pexip Infinity Fusion (on premise) and Polycom RealConnect for Office 365 (cloud only).